Allow us to customize your perfect spa retreat. Secluded in a tranquil setting, an overnight accommodation in Cottage Aroma Bella's Private Suite offers you a perfect balance of mind, body and spirit. 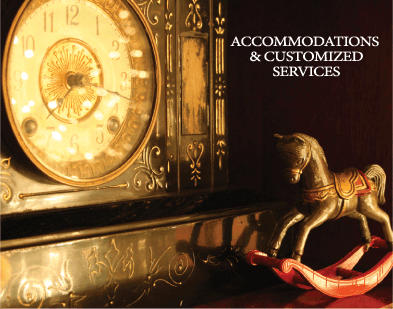 Customize this package to include your choice of relaxing services. Please contact us directly at 843-266-3619, Mon-Fri 10:00am-6:00pm to plan your personalized spa retreat. We require a 72-hour cancellation notice on all overnight stays. No-shows and appointments cancelled without proper notice will be charged in full.